As you know by now, the Mauritian Government Portal, formerly located at http://www.gov.mu, will now be found at http://www.govmu.org. Edit: For some reason, http://www.gov.mu is still operational. I have no idea what’s happening. Let’s just consider the points below as theoretical then, if ever the domain name does change. If you’re not currently aware of the change, you can read this article and if you’re wondering why this change was required, the Mauritian Government refused to be held hostage by an individual. Lol. 1) Mauritius is now one of the rare countries whose government portal does not end in its associated ccTLD. Singapore (gov.sg), UK (gov.uk), India (gov.in), South Africa (gov.za), Japan (japanportal.jp), China (gov.cn), France (france.fr) etc etc… You get the idea. It so happens that the “cyber island” ‘s government portal does not end in .mu. Ouch, straight in the reputation! 2) You have to go through every page of every department of the Mauritian government and change everything on these pages to point to govmu.org like “Contact Us” pages (which funnily enough list emails in the mailto: format, a treasure for spammers!). I hope a “search and replace” will do the job for them, although verifying the changes might be a little more difficult. When you are done, change every application form (printed or PDF), brochures and posters to use the new addresses if they include references to other documents or literature. 3) Email addresses have changed. It was mail.gov.mu. Now it’s mail.govmu.org if I’m not mistaken. So? You simply have to change every business card of every government officer to incorporate the new address. Oh and all letterheads too. And a variety of other documents. And every contact details of every ministry, department and parastatal of the Government portal. Then tell your contacts to use the new email address too, once you’re done. Don’t forget to reconfigure every mobile phone, tablet and random devices of users, ministers and the rest to use the new email servers. Remember how the new website cost like Rs. 50 million to develop? Wonder how much this will cost to change all that. 4) You have now broken every search engine link or references to the Government portal… Google and other search engines indexed gov.mu web pages. It will take them time to rebuild their databases with the new links. This could take anywhere from a days to a few months, given how many pages are accessible from the portal. None of these links would work. So whenever people are using Google to search for government forms or documents, they will see broken links. Other websites that point to gov.mu URLs will now point to broken links. An SEO nightmare, basically. 5) Your Government / country now looks like an organisation. 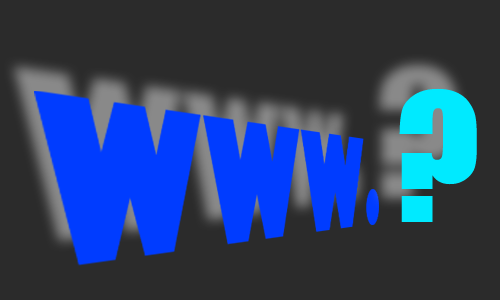 Who got the bright idea of using a .org TLD?! Was it the cheapest offer available? At least it could have been http://www.mu.gov, which would make more sense, even if it uses the .gov TLD (US-based mainly), if the latter was available for negotiations. 6) Once the domain gov.mu expires, the owner is free to do whatever it wants with it. Like park ads on it. Or worse, naughty pictures! Basically, the old and respected gov.mu could now host any kind of content depending on what the new owner fancies! 7) Building on the above point, if a malicious user decides to buy the gov.mu domain name, they could in theory, intercept emails that are sent to old mail.gov.mu addresses by redirecting the requests to their own mail servers. These are the changes I can think of right now and I’m sure there are many more cascading changes that will be happening soon. Keep your eyes open and remember to update your bookmarks! Mauritius is not a cyber island yet. Here’s why.